Nope, we’re not referring to an electric guitar’s best friend – ‘AMP’ in this context refers to Accelerated Mobile Pages, and it’s essentially a way to create super-fast websites for mobile devices. 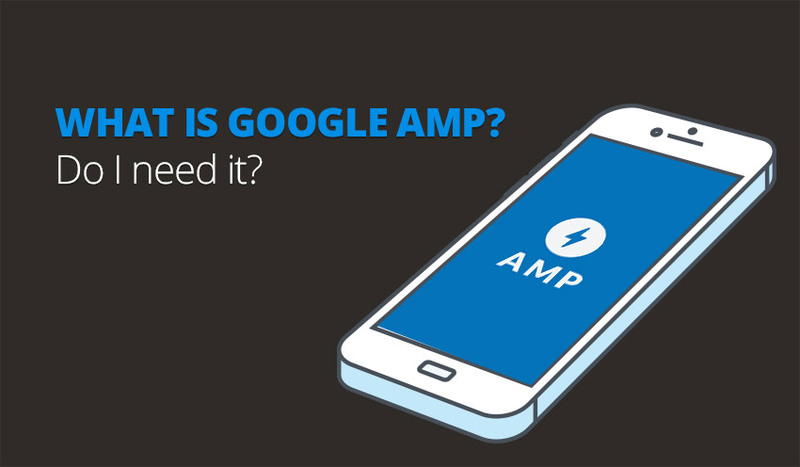 AMP was created by Google and is, consequently, heavily endorsed by the internet giant. Thankfully, it’s an open standard that can be used by any web developer in order to create a great mobile browsing experience for users. On 24th February 2016, Google integrated AMP listings into its mobile search results, which means it has also become an important element of search engine optimisation (SEO). If you integrate Google AMP into your website, the pages will appear to load instantly on smartphones. Without boring you with the minute technical details, AMP is a framework that enables web pages to be served ‘pre-loaded’. It does this by delivering websites from servers known as caching servers, which automatically load the content in the background before it appears on the user’s screen. The result is near instantaneous, regardless of the type of content – be it text, static images, animation or video. What’s most impressive is that you’ll always receive the latest version of the page, and it’s just as quick no matter what device you’re using. You can spot AMP-enabled pages on Google if you know where to look. They’re identified by a small grey symbol next to the website name that looks like a lightning bolt. It’s great for SEO. As mentioned, Google is behind AMP and showing no signs of ditching it any time soon. The fact they’ve reserved precious space on listings to display the AMP icon gives you some idea how important it is to them. As always, we don’t know exactly how it fits into their algorithm, but it will undoubtedly play a key role in ranking. It’s super-fast. Try it: access a page with one of those icons and then one without – the difference in speed is startling. And we all want a fast, smooth web experience. You’ll be included in the AMP cache. If your website uses AMP, it’ll be cached on Google servers. Beyond increasing page speed, that will take the load off your own servers (it might even reduce the cost) and again assist with SEO. Why might AMP be a bad idea? Despite the advantages above, AMP isn’t for everyone, and there’s definitely a significant group of techies out there who wish it doesn’t exist. It can limit the capabilities of your website. AMP is a framework, which means you have to work from a defined set of rules in order to benefit. That might prevent you from developing desired areas of the site, and the rules can change at any time. You’ll be under the watchful eye of big brother. Google has ultimate control over AMP, regardless of the fact it’s an open standard. Your site will also be residing on their caching servers and injected with their tracking code. We’re not suggesting their untrustworthy, but do you want that level of scrutiny on your business website? It might get pulled. Google are well and truly behind it now, but what if they make a sudden about turn and pull AMP? They’ve done that kind of thing before. Is AMP right for my business? This is a tough question to answer, because it depends on how complex your site is, the type of content you’re serving and the size and profile of your audience. If you’re not fussed about Google’s tracking code and you feel the SEO benefits could make a significant difference to your rankings, it might be worth exploring. Contact us today to discuss AMP – we’ll help you make the right decision.